Yesterday at Connect(); we announced SQL Server 2016 Service Pack 1 (SP1), which introduces a common programming surface across SQL Server editions. This move makes innovative database features such as in-memory performance across workloads, encryption at rest and in motion, and the ability to query across structured data and unstructured data in Hadoop available to applications of all sizes. Our Independent Software Vendor (ISV) partners now have greater flexibility to adopt advanced database features while supporting multiple SQL Server editions – without having to maintain separate code for each. Your customers gain the flexibility to choose the SQL Server edition that fits their workload, then scale as they go. As Nick Craver, Architecture Lead at Stack Overflow noted in Joseph Sirosh’s Connect(); announcement blog, this eliminates the burden of programming to different editions. “With SQL Server 2016 SP1, we can run the same code entirely on both platforms and customers who need Enterprise scale buy Enterprise, and customers who don’t need that can buy Standard and run just fine. From a programming point of view it’s easier for us and easier for them.” This means that ISV partners who have been eyeing the performance benefits of in-memory OLTP or the greater security enabled by supporting Always Encrypted now can get started with these innovative features that will help differentiate their applications, regardless of the editions they support. 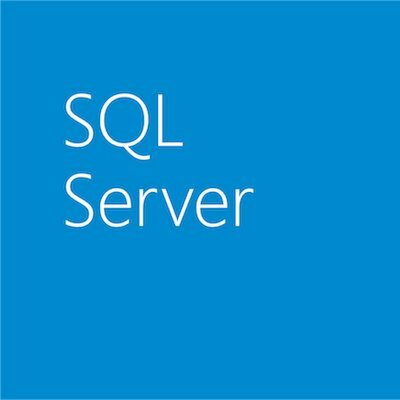 To help you on your journey to SQL Server 2016, Microsoft is launching the SQL Server 2016 ISV Accelerator Program, a set of resources to help you quickly assess your application for SQL Server 2016 support, leverage the latest features, and learn more about the opportunity to work with Microsoft to bring your applications to market. When you enroll in the program, you’ll have access to a set of SQL Server 2016 training and reference materials and help from Microsoft SQL Server subject matter experts. In addition, you’ll be on a path that can help market your application to Microsoft customers more broadly. As we look to the future, Microsoft continues to invest in SQL Server programmability features, tooling and connectors to help developers and partners grow their applications. And with our announcement of the next version of SQL Server on Linux and Windows, partners and customer will have even more flexibility in the platforms, languages, and data they use with SQL Server. We hope you’ll join us on this journey. The best way to get started is to begin today with SQL Server 2016 SP1. Sign up now to get access to tools and resources, and begin innovating with Microsoft’s data platform.